Masters in Building Training (MIBT) is fast becoming the provider of choice for existing practitioners and new entrants into the building industry, to gain qualifications for contractor licensing across the nation. MIBT recognises what the building industry wants, requires and needs; we put forward a business model which is inclusive, relevant, attractive and applicable to how the building industry operates with flexible, blended learning options alongside core regulatory, practical and accepted industry requirements. Provide flexible and practical assessment processes that meet industry and regulatory requirements. Engage industry and individuals alike to ensure consistency and quality of service. Ensure that the business model provides income under all economic conditions. Continue to develop flexible and practical options for participants. Seek additional services to provide a positive learning outcome for participants. Demonstrate competitiveness in terms of cost effectiveness and excellence in terms of quality. Continuous improvement of products and processes in-line with regulatory authorities. MIBT is a nationally registered training provider (#40666), focused on providing a service to existing practitioners within and new entrants into the building industry. Our Chief Executive Officer (CEO) is a current licensed building practitioner (open class) with over 30 years experience in building and more than 17 years experience in the Vocational Education and Training (VET) sector, which compliments all out trainers and assessors who are also currently licensed and vastly experienced in their respective vocations. MIBT delivers qualifications on its scope via a blended, online and onsite pathway, reinforced with third-party supervisor reports, to ensure industry requirements are met with learners being able to perform varying tasks, over a period of time, for all types of building classes. We also undertake a regime of Recognition of Prior Learning (RPL) for existing building practitioners, currently working in the building industry. Our standard is in-line with regulatory requirements including, but not limited to, ASQA, various State and Territory funding obligations and various State and Territory licensing regulators. Existing building practitioners with a minimum of 2-4 years practical building experience, in-line with licensing requirements, currently working in the building industry, requiring recognition for licensing and in some cases higher qualifications for particular project roles. New entrants into the building industry for apprenticeships and traineeships from Certificate III through to Diploma of Building and construction. MIBT currently boast 485 apprentices and trainees across NSW, QLD and ACT. As our team of trainers and assessors are current, licensed building industry practitioners with VET experience in assessing, training and developing programs for the building industry, it suggests a standard of excellence with the outcome being focused on client needs – qualifications leading to licensing. Broad industry alliances and experience. Strong relationships with industry-related regulatory bodies. Highly flexible and responsive ability to bring assessments to where it is physically required – on-site. All assessors having currency within the building industry. MIBT understands nationally identified training needs, skills shortages and skill deficiencies through Department of Education, Employment and Workplace Relations (DEEWR) funded research. We are aware that there is an increasing percentage of experienced, albeit formally unqualified operators at trade level, particularly in the finishing trades, who distort skill shortage data by operating ‘under the radar’ and that this has the effect of undermining industry initiatives to recognise and address actual and published skill shortages. MIBT’s greatest asset is its human capital with in-depth experience and representation across Australia and throughout all sectors of the building industry. In addition we focus on taking our assessments out to where the individuals are working and running their business which ensures accessibility and a reduction in time off the job. Through our Learning Management System (LMS), MIBT can offer a blended pathway with assessing tools and materials developed and based on government standard documents and customised by current industry practitioners. Their use and effectiveness has been validated through other Registered Training Organisations (RTOs) and their ability to pass audit. Over the past 20 years Paul Lawrence has maintained a leadership position in the development of vocational education standards and Australian building practice policy. His work in training innovation has been recognised with MIBT and their trainers receiving awards from both the NSW and QLD Department of Education and Training (DET) as well as various NSW Business Chamber awards. With more than 13 years as Manager for Training, Technical Services & Strategic Projects for the Master Builders Association (MBA), Paul worked closely with key industry stakeholders including national and state governments, TAFE, the Office of Fair Trading and the Housing Industry Association (HIA). Paul regularly participated in industry panels and advisory committees for the creation of new training and assessment pathways. He provided expert advice and assistance as a member of the National Construction Training Package Project Steering Committee and worked on Australian Standards Committees to develop guides for quality building practice. 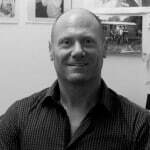 Paul Lawrence is a licensed builder in NSW, QLD, SA, ACT and Victoria. The catalyst for the creation of the MIBT training model, came from Paul’s own experience as an apprentice carpenter studying at TAFE. What Paul remembered most about TAFE wasn’t the quality of the training. It was a day off work where the morning was spent in class and the afternoon saw many of the young apprentices at the pub. Paul recognised that a lot of apprentices were doing a trade because the school classroom environment was simply not for them. Later, as an employer working closely with apprentices of his own, Paul would often think about the time wasted in institutional training. Time when no progress was being made, either on the job or in the apprentices’ skills development.